Getting older opens a whole set of unfamiliar issues and discussions. I used to worry about my older relatives. Now that I’m turning 65, the concerns that I had for them are the same that I have for myself. It’s funny how our lives shift in just a few decades. Things that cross my mind are: Will I isolate myself, will I outlive my money, and what will my long-term needs be? But there’s a big difference between my parents’ older years and mine. I live alone without a spouse or children, and I wonder apprehensively, “Who will care for me in my “elder” years?” Oh, sure, I have siblings, but they’re older than me and will likely need my help, not the other way around. I know that if I plan wisely, there’s a chance that in my elder years I’ll receive similar types of care as my relatives enjoyed. I know that now is the time to put a plan in place, but first I need to explore how I want to live later on, because if I wait until I need help or want more companionship, it may be too late to find a solution. As I figure out how I want to live, I’m making changes. The first has to do with children. Children have never been a big part of my life, but I do appreciate their energy and enjoy spending time with them. We’re similar in some ways, and I’d like their encouragement to be more like them in the ways that we’re dissimilar. Young people have high hopes, and so do I. They’re always ready to try something new, and I’m not. Having access to their influence could change my life. And that’s what encourages me. I want to live in a town or urban area where people of all ages converge and together unravel some of the country’s complex challenges; where every person is respected and valued, and allowed to participate and contribute; where aging adults find meaning and purpose, even at the end, through compassionate relationships and continuing engagement; where an active component of neighborliness exists—one of social and emotional value. I want to live in a place where everyone enjoys connection and fun, and shares stories, laughter, grief, understandings and concerns. Last year, when I moved back to the area where I was born and raised, it never occurred to me just how involved (again) I’d become with the people who live here. It’s a small Czech community, and many of the residents are kinfolks. The local librarian is my cousin, a former high school English teacher. She is involved with programs that include students from the high school. Through my encouragement, she’s willing to help design and sponsor local intergenerational programs. The teenagers in the community are engaged. It’s the older generations that I worry about, because they are inaccessible. I know it’s because they don’t want to be a bother, but I think they spend too much time alone, and that’s not healthy for anyone. So my cousin and I hope to remedy the generational divide. Trust me; it’s as much for me as it is for them. Intergenerational connections make magic, and that begins with activities. Since in our culture, people tend to gravitate to isolation and impersonal “tech” networks, my cousin and I plan to create approaches that address pressing community needs. We envision older adults tutoring children in the lost Czech language, the younger people helping seniors learn to surf the web and connect with family long-distance via Skype. Both generations can share a meal cooked by all, and we also plan to encourage movement and music. Whatever the activity — from photography, cooking and tutoring, to shopping on the web — it’s the dialog that’s crucial. We’ll encourage question-asking, discussions about similarities and differences, and the sharing of stories about what each generation has learned from this experience of intergenerational exchange. By having these conversations, we hope to loosen the grip of ageism. As America ages, the increasing numbers of older people will put pressure on the government and social services. It’s time to tap into the power and potential of neighbors to help support and care for older people, while seniors contribute by helping young families. Together we can make it better for everyone. 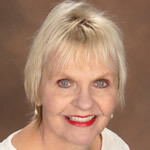 Carol Marak earned a Certificate in the Fundamentals of Gerontology from UC Davis and is aging advocate, columnist and editor at Seniorcare.com. She invites you to join the Aging Alone Facebook group to learn and share with like-minded people searching for a better way to live as we age. I am only 56 years. My friends range from 50 to 70 years old. I am so shocked that people with so much wisdom and all that time being on this planet have no idea how to make friends or entertain themselves. You have to make yourself available to meet people. There is so much for you to do. I know friends my age who are bored and lonely and don’t take the initiative to be more active. For five years I invited all of my lonely friends to the house for dinner and to swap jewelry and accessories. I did this consistently for 5 years. The purpose of the gathering is for the ladies to make friends with each other. At times I would have 10 to 25 ladies at the house. After five years I asked for someone else to take over, No One Wanted TO Take Over.. I did all of the work for 5 long years, with my own money and not one wanted to take over. They enjoyed coming over and eating and mingling. Another time I put together a group to visit all of the ethnic restaurants in our large city. Once a month we had 10 or less ladies enjoying the food and the other ladies. After two years I asked who wanted to take over, No One. So we stopped. I created another small group with 10 lovely ladies who enjoyed drinking tea. They had to donate one box of tea a month. I would create beautiful decorated bags with 10 different flavors of teas and mailed them. The ladies would jump for joy to sample new teas every month. This lasted for 6 months. Again I asked who wanted to take over. No One. Everyone wants to enjoy the fun activities but one one wants to create an event. We have share house here in St. Louis where you can get free food that has been donated by Whole Foods. Free food twice a week. Good quality foods. No sign up require. No ID or salary requirement. Free! Just bring two bags and take as much as you want. I have posted on Facebook weekly. No one is interested until I post all of my food haul. From June to Sept. I buy 2 tickets to Chicago from St. Louis for a one day trip to just enjoy ourselves. The tickets range from 1.00 to 25.00 a piece. I buy these tickets with my own money to take my older Friends on a day trip, they always agree to go but cancel the day before the trip. I am very active and eat healthy. I make friends with no problems. I can have a party at the cemetery. I will be running until I am old and can’t run anymore. I have picked up my friends that are older and take them to events. They do not make the effort to socialize. Some are so judgmental and set in their own ways. I have never been bored. The stories that I have read just make me so sad. I will make more effort to go back to do the things that I used to do for my older friends. I will create some type of club where they can come and have fun and not concentrate on the negative things. I am not afraid of getting old. What I am afraid is being unhealthy and sickly. I have a million ideas how to entertained myself and others. I was happily divorced for 26 years. While traveling in Brazil I met my hubby. I flew to Africa and married him. I am still puzzled about what I did. So at 54 years old I remarried and started a herbal tea business. I used to weight 309. I lost 83 pounds. I created a whole new life for myself. I ran my first half marathon at 54 years old. Now at 56 years old I am ready to turn my house key to the bank and sell all of my belongings. I want to travel and live as cheap as I can. I am tired of working two jobs and stressing about bills. My best friend is 88 years old. If you want a pen pal I am ready to to entertain you. Love You All!! Just found this site and finished reading all the posts. I think this sounds like a good group! A group of people chatting about how to start a group! Ha ha! I enjoyed all your comments as I have been contemplating leaving my 20 year marriage. I am a somewhat young 62 yrs. of age. It is very difficult for me to continue being lonely and angry and full of resentment knowing that it will never be better and my life will never change if I stay stuck. I am not a brave woman like all of you sound, and I am afraid my life could be worse alone and I would have to live with regrets. I just don’t like my spouse and haven’t for years. I have no desire to get in another relationship with anyone. I just want to be gramma, have friends to laugh with and it doesn’t take much to make me happy. I can’t think of anything I would miss. Did any of you feel this way? I was on the fence at 57. He was arrogant and stingy,in all ways. He made fun of my gifts to him. He told me his friends thought I was stupid. Final straw was when he badmouthed me to his children, who are still best in my mind. He went back 15 years with my wrongs. I am feeling better every day without his nastiness. Any change we make in life is a challenge and especially when one is a little older, but we can manage. We handled others challenges in life so why not this one. we are not. Their own life is all consuming , and we have to be content with what they can do for us. help. And when it comes to joining groups like the Senior Planet ones, go several times don’t give up right away. Often the people who attend are not always the same and the next time might be better. I know it is easier said than done, but just stay optimistic, try different things and don’t give up. Hi I too live in NC close to the beach older divorced woman, my kids don’t talk to me much. I’m on my own I tried numerous things to meet men, still look younger than I am, nothing ever comes of it. I tried meetups, online dating, even church and bingo. NC is not a good state to make lasting friendships or meeting men who want a real relationship. I feel so alone most of the time. I wish I knew what to do. I know what you mean. My children have busy lives and don’t really have time for me. I live in a retirement complex in Ohio but the other people who live here don’t really care to socialize. I also tried joining a few groups but everyone had their own friends in the groups and didn’t really care to include a stranger. I live on SS and a small pension also. I do have mobility problems. I get so lonely. I had a close friend but she passed away this summer. I really miss her. Hi there again. I’m Marta and live on the upper east side and if the goal is to gather like minded folks let me know. I can be reached via this mode. I guess I’m in the same boat. I’ve lost so many family members just in the last year and a half, I still can’t get over that. I’ve been trying to figure out how to find other people just to chat, have coffee with, talk…just someone to talk to. I don’t know how to go about being active again, maybe I’m just too old at 70. I have a small part-time job in home health care, but there are many days I don’t see or talk to anyone. I have thought often of getting a group of women together just to visit with each other. That way we’d all be checking on each other but enjoying the company at the same time. I just don’t know how to get started. Every time I try to look up something like that on the computer it ends up with responses about dating, etc. I can’t figure it out. Hi Helen, it’s Carol Marak the author of the article and the person who started the Elder Orphan Facebook group. Please join us there. Hi there i live alone and have no family members nearby. I agree that sharing your status on facebook is unsafe given the social climate we are living with these days. I am able to get around and share with some friends however it is getting harder to meet people as i get older. I wouldn’t mind sharing with like minded seniors. i am very active and go to the gym a few times per week. I dance whenever I can get chance to . Most of my friends are younger and they are are active as I am and those who are older are not as active as I am. I i do everything for myself except driving as I don’t need to. Thank you, everyone, for reading the article. I’m happy you enjoyed it and that it inspired some of you. To learn more about Intergenerational living check out these sites: http://www.cohousing.org/ and http://www.ic.org/. I hope they give you direction. https://www.facebook.com/groups/elderorphans/ – but join only if you feel safe and secure. @Brigitte Where can we find your book? I suggest that we like minded folk formulate a plan to do nurturing things together, perhaps starting by exchanging emails to get to know each other. Then perhaps we coud select activities we could do tògethere in some way?..At the very least we could establish some great email relationships…..
Or you can buy a signed copy directly from me . I agree, Gloria, that’s what the Facebook group is about – and it’s a closed group so you have to be accepted as a member. Check it out! I am in the same boat. I am 69 years old and have only a few friends. it is hard to make friends at this age no matter where I go, church, clubs, etc. I don’t know what to do because I don’t have any family I could count on. I also live in a five floor walkup and worry about getting hurt. I do have long term care insurance but that doesn’t’ cover everything. I live in NYC in Queens and the thought of moving makes me sick, Going out of town would scare me because I don’t know no one and can’t drive and would have to depend on someone also. That’s my story in a nutshell. Any comments. Our circumstances are very similar. I live alone, and my three siblings live in two distant states and in Canada. I did not marry or have children. Additionally, my two lifelong best friends have died recently, one from Lou Gehrig’s disease and the other from congestive heart failure on Saint Patrick’s Day of this year. As difficult as it was, it was an honor and a privilege to be with her around the clock in her last several days. My career was high school teaching, high school counseling and adult ed., so I was always surrounded by plenty of kids. With students, colleagues and friends aplenty, I was never aware of having any social needs at all. I actually enjoyed solitude. Then I had to retire at fifty with a disability. Now, at 67, imagine my surprise at finding myself so acutely lonely! Being alone and feeling lonely are entirely different experiences. Being alone signifies making decisions on one’s own, provides time for uninterrupted contemplation, meditation, and reflection. It allows choices based purely on one’s own values, goals, and priorities. Being alone can be glorious, as many widows discover in their later years. Loneliness, on the other hand, signifies acute awareness of unmet needs for connection, for socialization, for partnerships, for compassion and for understanding. Alone suggests self-sufficiency; loneliness feels isolated, hollow, inadequate, and sometimes rejected. It feels like being without resources in times of need. In past times, I did organize groups and events around common interests, but in the last seven or eight, I have not been successful in doing so. Your post is an inspiration to try again. Thanks! I do not see anywhere in the article the specifics of how these goals are to be achieved. It sounds lovely but how do you do it? Please get back to me by email at jkaszas@verizon.net so we can chat a little about starting something. I live in Queens and I have no idea where you live but it’s a start. I did got to Senior Planet for awhile, but got sick and couldn’t go and haven’t been back since. Maybe that would be a good thing to suggest to them. I have neither a spouce nor a companion. I have a son who prefers to be left al;one than bothered by Mom. He will deny this as every older child will. Its ok, as he will hve a child someday that will do the same thing to him. I know, as I did not listen to my Dad, and thereby I have a son who is igmpring me. But more to the point. I am not afraid, I,m just loney for companionship of lots of people. like in an AA or NA meeting! ha thats a laugh, I dont drink nor do drugs, so what else is there??? I have to admit that I would not be comfortable posting info on Facebook re seniors living alone……not here in New York. Your idea is great and could open the door for meeting like minded seniors. I agree totally, but how does one accomplish this nice goal. Does anyone have any ideas. I am up to anything to get together with people in the same boat as I am. Hello, my name is Carol, the author of the article. Thank you for reading. If you have questions or care to discuss, let’s do it here. Please post your comment and let’s start a dialog on actively aging alone.